I was listening to her greatest hits album just now, just enthralled all over again for the thousandth time by her voice. And sad at the same time that she had gone way too soon. 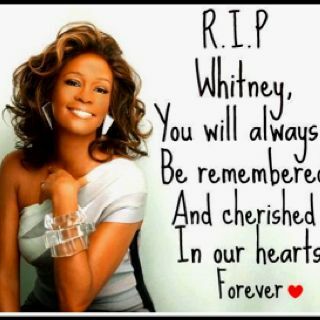 Oh Whitney. What a loss. When I got to One Moment in Time on Disc 2 of the album above, I realised it’s now been three whole decades since that beautiful song was released. And talking of how crazy-fast time flies, it has now been six years since she left us in 2012. It was recorded for the 1988 Summer Olympics in Seoul. Every time I heard the song I would always think it was for the Los Angeles Olympics of 1988, but checking it for this post, I realise I had been mistaken all this time. L.A. hosted the previous Games in 1984, not in 1988. Thirty years on it is still THE Olympic Games Song, hands down. No other song from the Games, Winter or Summer, or any other song from other sporting events like the songs from the FIFA World Cup for example, comes close. Written by Albert Hammond and John Bettis, and produced by Narada Michael Walden, One Moment in Time is just so inspirational and just so perfect for the world’s premier sporting event. You can feel the raw grit, the sweat, tears and blood, the crazy hard work, the prayers and determination of the athletes who the song salutes and empathises with. The song is just so breathlessly beautiful, brought to life and imbued with fierce spirit and soul by Whitney’s voice and flawless delivery. Here’s a video of a live performance in 1989, thanks to a Youtube user called MJChristina. This entry was posted in I like the song, I like the video and tagged 30 years anniversary, 30th Anniversary, Olympics, on being gay, One Moment in Time, Seoul Olympics 1988, Whitney Houston by Halim. Bookmark the permalink. Hi Halim! Wonderful to see you here and hope all is well with you my friend! Whitney was superb. Hi Cindy!! Thank you so much! It’s always nice to see you too my friend. Yes she certainly was. An unforgettable talent. Every time I see you in my comments, it makes me happy. I hope you are well. Oh Thank you Cindy, your posts and kind words make me happy as well. Yes I’m ok, just trudging along but happy and grateful for the still many good things I have in my life. I hope you are well too. Cheers, my friend! Indeed, she had some lungs! Nice of you to acknowledge her. You haven’t posted in quite a while… hoping all is well in your life. Thank you, Eric. And thanks for noticing. I hope all is well with your life too. Yes I keep trying to get back to before and write regularly, but there seems to be one thing after another that needs my time and attention, whether work or personal. For some time now I can only post to my Instagram, which I started a short time ago. I’ve been thinking maybe I can get out of the mindset that I have to write an article-length type of post here each time, and instead try more of like Instagram type of shorter posts of just photos and a few accompanying thoughts, just to slowly try get back into posting here more regularly. I don’t know. Just a thought. Cheers to you!